What an absolute charm of a word! By far, this is one of my faves. 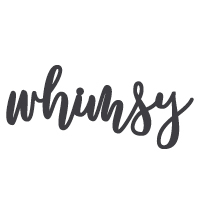 Whimsy conjures up ideas of magic and sparkle and allure and fun and limitless POSSIBILITY! It’s open-armed and warmly embracing. Why, it’s downright hope-filled! And kind of hilarious. What an utterly gorgeous word. We could all use something fanciful in our day-to-day lives. Right?! And so, on that note, I thought I’d share my whimsical riff on the omelette. Or the pancake. Er…both? A PANLETTE! That is the magic of whimsy – take your idea and fly, knowing that it might bring a smile to someone’s face! Given that it was St. Patrick’s Day yesterday, I decided to jump in with a bit of mirth: I whipped up a dinner that was totally, well, green. 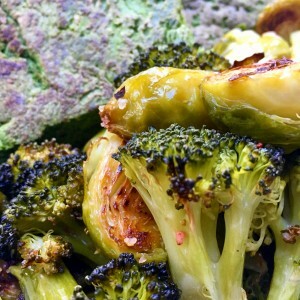 Yup – the veggie stars were two of my go-to emerald wonders: brussels sprouts and broccoli, roasted to perfection with just a bit of coconut oil and sea salt. The entrée was my green panlette – a spur-of-the-moment creation that teetered on the unusual. This would either be a winning unicorn or a disastrous dud. Suffice it to say – unicorn for the win! Break eggs into to bowl; add flax, flour, water and sea salt. Whisk until well-combined. Pour into blender; add parsley and kale. Blend. Pour into well-oiled saucepan (I used coconut oil) over medium heat. Cook until bottom is brown and lifts easily from pan; flip and cook an additional couple of minutes. Slide onto plate.